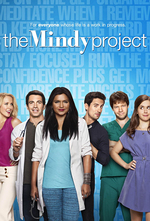 The Mindy Project ends the season on a romantic cliffhanger of a love triangle. My loathing for Danny has basically cooled down into a two-week old rotting lasagna of hate. I hope Sarah finds out and leaves him at the altar for a Cuban chiropractor. This was not the cliff hanger I was expecting, but without a doubt, in no way, should Danny find redemption or even the love of either Mindy or Sarah. Sarah should rightfully dump him and Mindy should push him as far to the curb as possible within the boundaries of shared custody of little Leo. Incidentally, this results in another episode starting with Mindy being invited to a wedding. I've kind of warmed up to Jodie over the course of this season, but then again, they did the same thing with Danny only to unleash the inner control freak after the engagement. I guess the show is definitely choosing to deal with the pitfalls that follows a major break up, when feelings still continue to linger for good or bad. Season 4 was definitely a step up from Season 3 in terms of writing and entertainment value and I'm definitely looking forward to next season. I don't understand what this show is doing with Jody. Mindy left Danny because he was wholly unsupportive of her dedication to her career, and he expected her to quit her job to take care of Leo. Wouldn't Jody have the same traditionalist expectations of Mindy? Doesn't Jody bring the exact same set of problems that Danny had? IIRC, Mindy met Jody on a subway when he shamed her for breast feeding in public. Just...ugh. I'm not sure I can watch this anymore. I think with Jody, the whole point is that he's been pushing past his expectations, foremost his decision to become interested in not just an older woman, but an older woman of color. In a way, I think they're kind of redoing the whole Danny romance arc.